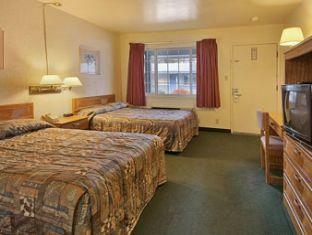 The Days Inn South Lake Tahoe is perfectly located for both business and leisure guests to South Lake Tahoe (CA). 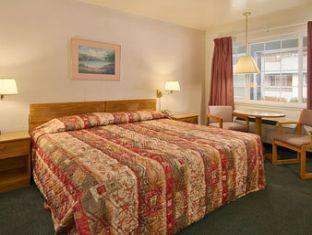 The Days Inn South Lake Tahoe boasts a convenient location with modern amenities in every guestroom and superb service. 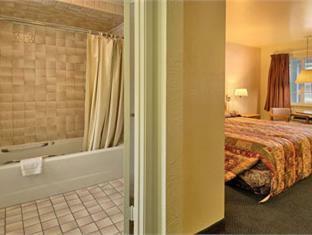 The guestrooms are equipped with in room safe, television, hair dryer. This beautiful South Lake Tahoe (CA) accommodation provides casino, shops, laundry service/dry cleaning to suit all guests' utmost convenience. In addition, the hotel's guests can enjoy the leisure and sports facilities provided on the premises: outdoor pool, gym, golf course (on site). The hotel provides a warm and welcoming service of international standard. For your reservation at the Days Inn South Lake Tahoe, simply submit your dates and complete our secure online booking form.